Emphasizing 30-day readmission rates as a quality measure puts pressure on hospitals too. CMS now plans to link hospital payment to readmission rates and hospital-acquired complication rates. Community hospitals inevitably will feel pressure to funnel complicated, frail, or high-risk patients to the nearest major medical center which can’t bar them from the ER. In my own line of work, anesthesiology, I often take care of patients who need chest surgery. They have serious illnesses such as lung cancer, emphysema, and ALS–the bucket-challenge disease. These high-risk patients don’t all have good outcomes, though I like to think that my management of their anesthesia care helps most of them return safely home. But the best measure of whether or not I’m a good anesthesiologist isn’t either my outcomes data or my “quality” scores. It’s the fact that surgeons and OR staff members at my hospital, who watch me work every day, often request me when they or their family members need anesthesia. That’s a measure you won’t find in any report. I can’t think of a worse way to address physician burnout than to publicize flawed “quality” or outcomes data that would unfairly pit physicians against one another. Dr. Jauhar’s further recommendation to link doctors’ pay to health outcomes (“pay for performance“) would only make matters worse. Dr. Jauhar writes that his hospital sends quarterly reports to physicians, telling them how their patients rate them on different points such as communications skills and time spent with them. I’m guessing that his reports must be good, or he wouldn’t consider patient satisfaction scores to be an incentive that could reduce physician malaise. I’m also guessing that Dr. Jauhar’s colleagues in emergency medicine and primary care might feel differently. Those physicians are under daily pressure to give narcotics to any patient who complains of pain, to prescribe antibiotics to patients who don’t need them, and to order expensive tests like CT scans at the slightest indication. To do otherwise is to risk poor patient satisfaction scores. The Atlantic published a recent article: “When Physicians’ Careers Suffer Because They Refuse to Prescribe Narcotics.” It highlighted the fallacy in satisfaction scores, noting that “patient perceptions may prove downright misleading.” Patients often visit multiple emergency rooms and doctors’ offices asking for narcotics, and “the problem of prescription drug abuse and drug-seeking behavior is abetted by a robust and growing black market for prescription medications.” They’ll be angry if their narcotic requests are denied. Still, physicians are at risk for being hired or fired on the basis of patient satisfaction data, without critical review of the source. A prospective study of over 50,000 clinic patients showed that the 25% who were most satisfied with their care had higher odds of inpatient admission, greater total expenditures, greater prescription drug expenditures, and–perhaps most surprising–higher mortality. I can easily see how that could happen in the treatment of pain after surgery. If you gave every patient enough morphine or Demerol, you wouldn’t hear complaints of pain. But the patients would be sleepy, wouldn’t want to get out of bed, and would run a higher risk of breathing problems and blood clots due to inactivity. A recent Forbes article, “Why Rating Your Doctor Is Bad For Your Health,” concluded that “giving patients exactly what they want, versus what the doctor thinks is right, can be very bad medicine.” Many doctors would agree. 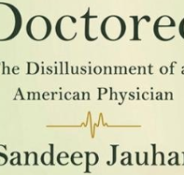 Dr. Jauhar concludes that the solution to satisfaction as a physician is to settle for less. He looks to medical students, who are “not so weighed down by great expectations”, to be the physicians of the future who won’t mind less money and prestige. But here is where Dr. Jauhar misses the heart of the issue. Most physicians didn’t go into medicine thinking to make a fortune–we leave that to the entrepreneurs and investment bankers. Most of us never expected to be treated like gods, with the possible (tongue-in-cheek) exception of our colleagues in cardiac surgery and neurosurgery. We did expect, though, to have a certain amount of autonomy in our daily working lives. We expected to want to come to work every day and take the best possible care of our patients. We expected to have our education and opinions valued and respected, not second-guessed at every step by bureaucrats with clipboards. 1. The surge of uncritical belief in “evidence-based medicine” has led to rigid algorithms–cookbook recipes, really–for patient care. Experienced physicians know these algorithms are often a poor fit for patients with multiple medical problems, and must be ignored or subverted for the good of the patient. At the same time, the physician may face criticism or sanctions for not following protocol. 3. The unchecked power of regulatory agencies–including CMS and the Joint Commission–is growing, while their reason for being is the constant creation of new rules that get pettier by the day. These proliferating rules have become a dangerous distraction to physicians and nurses, and take time away from their patients. In the meantime, it’s helpful to keep a few basic principles in mind. Fee-for-service pay isn’t the chief culprit. The best physicians stay busy because they have respect and referrals from their peers. As they develop a base of satisfied patients and colleagues who recognize clinical excellence, they achieve financial success and have no wish to perform unnecessary procedures. Price-fixing of physician services by third-party payers is the root cause of financial pressure to increase the number of services provided. Limited provider networks benefit only insurers and the government. They destroy long-standing patient-physician relationships, and prevent physicians from referring patients to other physicians whose work they know and trust. Encouraging the medical students of today to settle for less isn’t the way to get the best and brightest to become the physicians of tomorrow. As a society, we need to push back hard against today’s flawed rules, laws, algorithms and metrics that promote mediocrity and standardization, and provide all the wrong incentives in healthcare. That’s the only way that all of us–physicians and patients–will be able to enjoy the experience of individualized, personal patient care. After all, the “human moments”, as Dr. Jauhar rightly points out, are the best part of medicine. It’s hard to comment when you’ve said it all so perfectly. Dr Jauhar clearly does not understand what he is talking about and doesn’t see the problems with his proposed “solutions”. Thank you Karen, for a beautiful essay. Thank you so much, Dr. Koss! I know you’ve seen all of these trends as they’ve come down the pike. Terrific! I’m referring back to this in my post today. As the son and grandson of a physician, with 3 physician siblings, I notice that of my parent’s 14 grandchildren, none indicate any predisposition to become a doctor. I went into medicine as I saw how satisfied my father was as a surgeon. On the other hand, my children have told me for years that they see I work too hard for the satisfaction that medicine provides. I feel that I am now just a cog in the gears of machinery enriching the hospitals, drug and device manufactures insurance companies, certifying agencies, accountants, and lawyers – all while under constant goverment scrutiny. At least in my family, the next generation of American’s physicians clearly wants no part of doctoring as it has become. Sad. Thank you for writing, Dr. Parent. I still believe that medicine is a great and honorable profession, and I was thrilled when my son was admitted to medical school. (See my earlier post, “My son, the doctor-to-be”.) He’s now a second-year medical student, and I’m glad to say he still loves it. I think that he and many of his peers have no illusions, but still see a future in patient care. I hope he never regrets his decision. I agree with you 100% and can’t really figure Dr Jauhar’s incentive out, other than writing what the Wall Street Journal believes will convince its readers to further support valuing corporate interests over physician autonomy and improving doctor-patient relations. I finally quit the practice of anesthesiology because I could no longer stand losing time and ability to practice individualized patient-tailored science-based medicine over to spending most of my day being on the defensive against hospital and government beaurocracy, satisfying increased productivity demands and making clinical decisions based on the potential malpractice outcome of a media-informed jury about the outcome of a extremely high risk patient with unrealistic expectations. Thank you for writing this. Thank you for writing, Dr. Rosenlund. I’m always sorry to see people leave clinical medicine, but I can’t say that your decision seems ill-considered. What are you doing now? Thank you thank yoou thank you for your post. I felt exactly the same way about Dr. Jauhar’s article. Our “leaders” seem to think their measures of performance data are all you need to determine quality. We are lost if they do to healthcare what they have done to education. Great article as usual Dr. Sibert. I believe you convincingly countered every one of Dr. Jauhar’s flawed solutions to this very disconcerting epidemic of physician burnout. I couldn’t find anything to disagree with you as far as the daily aggravations and obstacles to patient care endured by us with scant pushback by organized medicine. I support your recommended proposals and I appreciate the referral to the Docs4PatientCare.org “Prescription”. Like you, I feel the suggestions enumerated in this Prescription will not only help address the current problems facing the nations’ physicians, but more importantly will benefit our patients since the proposed reforms will lead to better quality, value-driven and individualized patient care while preserving the historic physician-patient relationship. As a practicing anesthesiologist for 21 yers, I find Dr. Jauhar’s recommendations to be arrogant, humiliating and demoralizing. His not so subliminal message is to disregard the majority of the nations’ experienced physicians and to replace them over time with properly “indoctrinated” new medical graduates and protocol-driven allied health professionals. Only by minimizing bureacratic intervention in patient care and putting patients back in control of the healthcare dollar will this physician burnout be corrected and patient care improved. I hope the WSJ will publish your rebuttal so Dr. J’s opinion does not become the narrative. Dr. Sibert, you really struck a chord. I am amazed, comforted, and inspired by your article. We are in agreement, as is evident in this excerpt from a post on my blog from September 8, 2014. Many cogs are now required to turn the wheels of our nation’s juggernaut health care industry. Physicians, historically the driving force in medicine, are not generally the “cog” type. This juxtaposition can have unhealthy consequences for all of us. At first glance, Dr. Jauhar’s suggestions would appear to be reasonable measures. But employing such metrics may not sit well with our current physician workforce for a number of valid reasons. In days past, the medical profession attracted highly intelligent practical dreamers in search of a career that allowed and rewarded unfettered blending of art and science; answering a “calling” that revered the heartfelt patient-physician relationship. If you were a “Renaissance man” or woman, crossing medicine’s threshold felt like coming home. Now in this modern medical renaissance, home is not necessarily where the heart is. Home is now inhabited by impostors masquerading as quality and value. In days past, creativity and problem solving were vital to success in health care. Now strict adherence to guidelines, meeting quotas, and saving money for third party payers are paramount. Now the “rough spots” in the delivery line -physicians who view patients as individuals as opposed to populations – are being made smooth or else discarded. Given a metric that determines their “bonus,” worker bees will instinctively aim for that mark. So if earning money to send their kids to college depends on getting a “five star” customer satisfaction rating, then expect health care professionals to make flashing a salesman’s smile the priority. Running a clinic on time will become more important than taking time to comfort that patient who’s problem unexpectedly deserves more attention than the automated schedule allowed…can’t risk upsetting twenty people for the sake of one, you know. Regardless of the origin, this statement rings with truth. More than an observation, it is a challenge. I held a hand the other day. There was no procedure code for it. It did not satisfy any quality metric. Truth be told, it was probably more beneficial and more appreciated than the epidural injection that preceded it. We are living in the dawn of the planet of the value based. Students now embarking upon their medical school journey will emerge light years away from where they began. When they graduate and step into the blinding sunlight of the real world, will they even recognize it? You finally really did it! But, then again, I am a rough spot. Thank you so much for writing! We are definitely on the same page with regard to Dr. Jauhar’s misguided solutions to healthcare’s problems. I look forward to reading more of your opinions.